“That boy is special, I can see a lot of years of India blues in him,” says Dinesh Karthik. 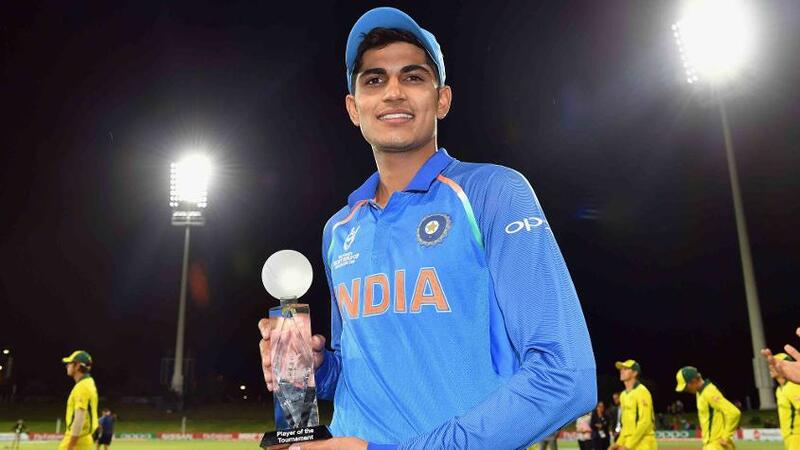 Shubman Gill, Player of the Tournament at the ICC Under-19 World Cup 2018, announced his intent on the senior stage with a maiden Twenty20 half-century on Thursday 3 May. Turning out for Kolkata Knight Riders in the Indian Premier League, Gill, an integral member of India’s World Cup-winning squad in New Zealand, struck two sixes and six fours in his 36-ball 57* at Eden Gardens. His effort, in an unbroken 83-run fifth-wicket stand off 36 balls with his captain Dinesh Karthik, guided the side to a six-wicket win over the Mahendra Singh Dhoni-led Chennai Super Kings. Earlier in the game, Gill dropped a chance off Dhoni and the former India captain’s 25-ball 43* lifted Chennai to 177/5 in their 20 overs. So, coming in at 40/2, Gill was desperate to make amends. “That catch I dropped off Dhoni – I told myself I should finish the match and come back with a win, otherwise I’d be in trouble! I was feeling very embarrassed about that,” said a smiling Gill after the victory. Having batted down at No.6 or 7 so far in the tournament, Gill hadn’t got a chance to showcase his full range of skills. The only other time he had been given time — with Kolkata 46/4 in 5.1 overs against Delhi Daredevils — he had scored 37 in 29 balls. On Thursday, promoted to No.4, he made the most of the opportunity. Gill, who tallied 372 runs in the Under-19 World Cup, was picked up for approximately US$ 281,000 by the franchise, and Karthik was thrilled with what they had got in return.